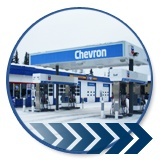 Family owned and operated since 1977, University Chevron has offered Fairbanks the best in automotive care and customer service. Our ASE Master Technicians are experts on brakes, front-end alignments, electrical systems, engine diagnostics, tire service, winterizing, and everything in between. Our highly trained service advisors are committed to listening to you and are ready to answer all your questions and plan your service. Training is a top priority to us. We want to stay in tune with the automotive industry’s constantly changing procedures. We are a modern repair facility with good old fashioned customer service. 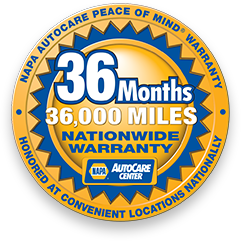 We use the latest up-to-date equipment to diagnose your vehicle’s operation. We strive to make auto repair, vehicle maintenance and refueling quick, easy and affordable. Oh, and did we mention that we offer great customer service? Bring all your automotive needs to University Chevron. You’ll be glad you did!